Balancing time against the lives of the myriad trapped Starfinders, nominated First Seeker Luwazi Elsebo authorizes a dangerous mission to return to the fated region of space known as the Scoured Stars. The might of the resurgent Society is finally poised to breach the formerly impenetrable barrier surrounding the trinary system. The galaxy pauses to watch if a new generation of Starfinders can save those once lost. 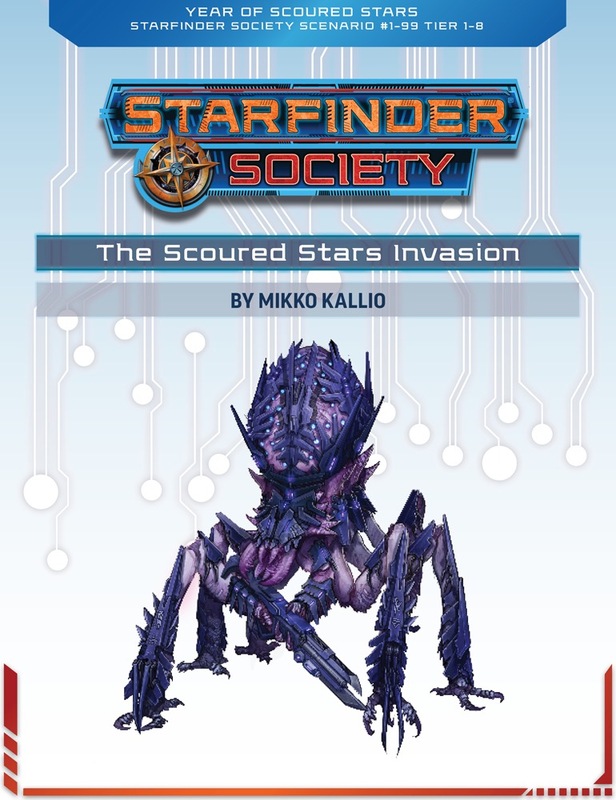 A mission of exploration and a mission of mercy, this return to the Scoured Stars will undoubtedly shape the future of the Starfinder Society. Available at select events starting at Origins 2018 up until the end of Gen Con 2018, and then available to approved organizers and events across the world. General release June 2019.